I believe that the attempts of debunking the Planet X could have been...staged to avoid deep consequences that would arise upon the planet's discovery...As a matter of fact the systematic debunking coincided with billions of dollars spent in the making of space telescopes..."
Alford, however, disputes Sitchin's chronology, claiming that there is a fundamental mistake in the calculations due to the fact the Babylonians had "...interpreted the data erroneously..."
Furio Stella, in his article "The Other Face of Planet X" (Nexus issue #41), gives a list of various scientists who, in the last fifty years, have suggested, announced, calculated, and observed the presence of a "Tenth Planet Beyond Pluto,"
"...From the announcement of astronomer Joseph Brady in 1972, which of Planet X...had calculated mass and orbit, until the most recent studies of John Murray and John Matese (1999), or those of the Dutch scientist Govert Schilling (2001) who...had spoken of a celestial body "at least as big as Mars" and with a revolution period around the Sun of "about 3.300 years"...to arrive at the last statement made by two Californian scientist of the Pasadena Technology Institute who...watching the sky by the Mount Palomar's telescope ascertained that another planet beyond Pluto actually exists. They are so sure about this to give it...a name, Quaoar, as a praise to the "great force of nature" of the local Indians. Unfortunately...Quaoar is in fact one tenth of the Earth, and orbits around the Sun in...288 years..."
"One thing is to see certain phenomena through the orbital deviations of probes with respect to the accepted gravitational theories...However to conjecture about the presence of a planet would be too much...it is too big of a step and unreasonable. There could be scores of different explanations...At the moment we simply don't have any indication that would lead us to affirm or deny this matter..."
"...It is a planet with a mass between 1 and 10 times that of Jupiter, and which revolves around the sun at a distance of 5000 billions of kilometers..."
Some scientists, among them Murray, support the hypothesis of the formation of the planet external to our Solar System; Later, the enormous gravitational field of the System itself could have attracted the planet, stabilizing it within the current orbit. Withmire holds that this object would be a brown dwarf, that is, a star which formed from the gravitational collapsing of an interstellar gas cloud. The brown dwarf possesses a little mass, too little to spark the thermonuclear reactions necessary to become a proper star. According to Withmire there were two stars at the formation of the Solar System: one was the Sun, and the other was a smaller star which distanced from it and cooled off. The genesis of the "Nemesis Theory" or of the Sun's dark companion, dates back to 1983, when Professor Louis Alvarez (Berkeley University, California) advanced the theory that the disappearance of dinosaurs was caused by a mighty impact between Earth and a giant meteorite. Others suggested that the mass extinctions ensuing such impacts occurred with regularity, something like every 25 million years. Richard A. Muller, Alvarez's graduate, proposed the hypothesis that these 'bombings' were the result of the presence of a celestial body that, at regular intervals, would come into our Solar System; He called this object Nemesis, and classified it as a yet to be discovered Red Dwarf. If this were true, our Solar System would be in fact a binary system like that of Omicron Ceti ('Mira') Zeta Reticuli, or Sirius. A second hypothesis can be divided into three parts: according to some experts the planet would station between the sun and the Earth, and would have been known and observed by the people in the ancient world; others state that the existence of a planet beyond Pluto would be more likely. 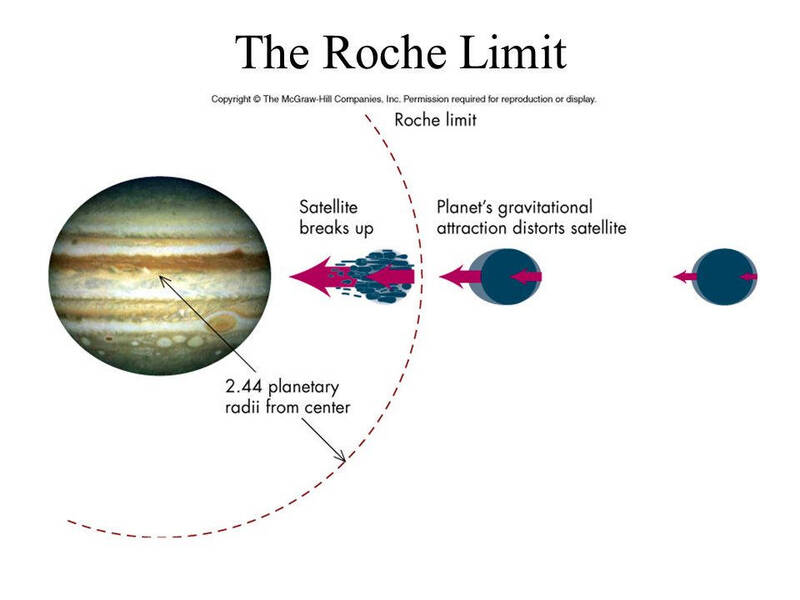 This planet would be responsible for Pluto's orbital deviations, but there is still no mathematical evidence to support this view; the third viewpoint considers the possibility of a planet orbiting between the Earth and Pluto, but it doesn't hold too much credit among the researchers. 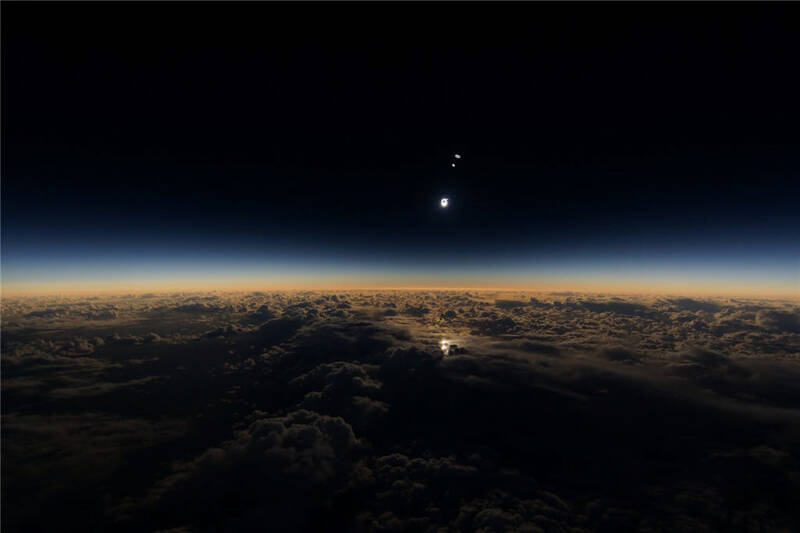 Other scientists have speculated, in the past two decades, upon the concrete possibility that a planet, known by the Sumerians as Nibiru (and nicknamed 'Planet X' today), may in fact exist, somewhere out there around our Solar System. Science has not been able to explain how, why, when, and where life appeared for the first time. Did it all begin here on Earth? It is just one possibility. Is it the result of an accidental combination of molecules in the 'primordial soup'?...it is just a hypothesis, in the same way as it is the opposite view...that life is the work of a creator..."
Why, then, ruling out the existence of 'another' planet orbiting around our Solar System only because we can't observe it (or, can we?). It would be like stating that 'we are sure to be the only living beings in the Universe because it is not possible that others exist.' But what is not possible? 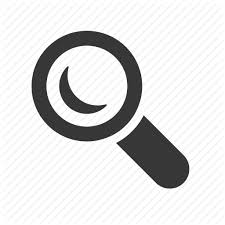 Both Mathematics and Physics allow the fact that through calculations and measurements we can reasonably speculate the existence and structure of an object before we can even see it! Why, then, rejecting the presence of a "Tenth Planet" which enters our Solar System at regular intervals, when we have records from the past, a past which is, perhaps, a lot more mysterious than what historians believe? Biologists Stanley Miller and Leslie Orgel have acknowledged that "we don't know how life has begun." "...The discovery of liquid water is an essential clue for the presence of life...Until something else comes up to prove otherwise, water is probably a necessary premise to the formation of life..."
"...Currently there are nine planets in our Solar System...There was a tenth planet in the past, a small one, which orbited between Mars and Jupiter...which eventually collided with Mars...This planet...called 'Astra'...was destroyed as soon as it entered the 'Roche Limit' of the bigger planet..."
The 'Roche Limit' is a scientific term indicating the zone surrounding an object with considerable mass. It is a red zone for any smaller object, which can be electromagnetically repelled, but most frequently it disintegrates. "...The scientists who support...Patten and Windsor's hypotheses are few, but this doesn't mean...that they are wrong...They could, for instance, be right with regards to the existence of 'Astra' or something of that nature. Surely there is no objection in principle to the concept of a tenth planet...In 1978 astronomer Tom Van Flaandern of the Naval Observatory...in Washington, DC. suggested exactly the same possibility in the...Icarus Magazine...He brought forward a convincing evidence that a tenth planet orbiting between Mars and Jupiter...destroyed five millions of years ago...could have been the origin...of the asteroid belt....as well as the entering of the comets into the Solar System..."
"...Could have disturbed Mars's orbit, slowing down its rotational speed..."
William K. Hartmann speculates that 'a large interplanetary body' could have entered the Solar System. But the theory of Patten and Windsor doesn't match with the others, Hancock say, under the "chronological standpoint,"
"[Patten and Windsor] assert...that the catastrophe on 'Astra' dates back 'thousands of years, not millions'...between 'not before 15,000 BC and no later than 3,000 BC..."
Which means in a period comprised between 5,000 and 17,000 years ago. According to Zecharia Sitchin's chronology, as published in his book "The Twelfth Planet", 13,000 years ago, with the arrival of Nibiru, the Nephilim left Earth before the Deluge, which was caused by the presence of Nibiru itself, covered the entire surface of the planet. Patten and Windsor hold that 'Astra' was a small planet but...what if it was just a satellite? Maybe one of the natural satellites of Marduk/Nibiru [SEE NIBIRU – Genesis]? Why, then, not suggesting that it was one of these satellites which impacted on Mars, which should have been closer to Nibiru than our planet? In their research "When the Earth nearly died", D.S.Allen and J.B.Delair speak of a large interplanetary object called "Phaeton". They believe that, in harmony with Patten and Windsor's theory, its appearance occurred in relatively recent times. "...It should have approached Mars and Earth approximately 11,500 years ago..."
With regards to its composition, the hypothesis is that "Phaeton originated from an explosion...similar to that of a Supernova...it is constituted by residues of astral matter..."
The most precious heritage these survivors had was the memory (through myths) of ancient and faraway times, 'before the Deluge', where a great civilization flourished, and the world was ruled by divine beings...who possessed a strange technology..."
"...We find it curious...that ancient Egyptians found a deep connection between Mars and the Earth...more precisely, between Mars and the Sphinx at Giza. Both the monument and the planet were considered...indicated with the same name...furthermore, Mars was sometimes known as 'The Red Horus', and the Sphinx...[was] painted in red..."
Was Mars always, or is Mars really red? Levin thought that the editing didn't heave 'any scientific explanation'; so it was made for the sole purpose to cover up the 'green specks on he rocks', which could indicate the presence of some sort of life form. Levin informed a researcher, Bill Hamilton, about the existence of photographs taken with the Hubble telescope in which Mars 'showed clearly a blue sky'. 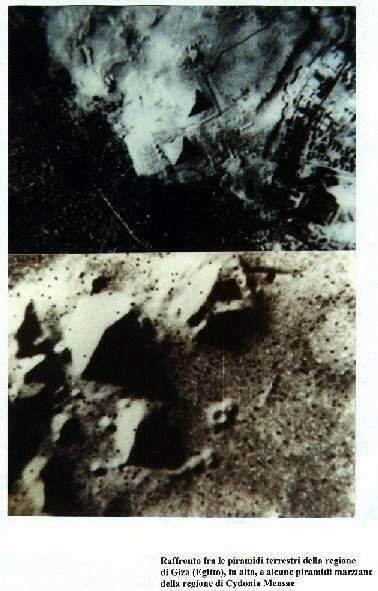 A German researcher, Holger Isenberg, attempted to remove the added layer from the NASA photograph, and obtained the evidence of the actual 'editing'. 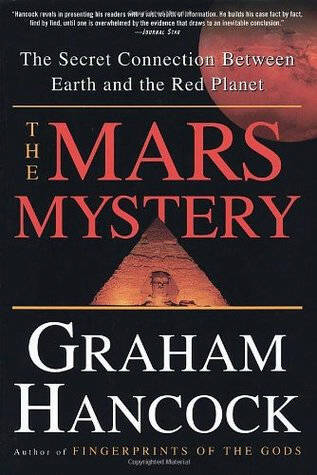 So, if Mars was not, and is not, really red, what the Egyptians referred to when calling the planet 'The Red Horus' or painting the Sphinx with red? Maybe to a planet orbiting nearby Mars, perhaps between Mars and Jupiter, visible to the naked eye and of a deep red color. Maybe that planet was worshiped as the home land of many 'gods' of the Egyptian Pantheon, and because it was the caretaker of all the knowledge which had been passed on to Earth. Maybe it was Nibiru. Mars, on the other hand, could have well been a 'colony', like Earth, which the Nibiruans could have left at some point, exactly like Earth. Mars, however, appears to have been completely destroyed. 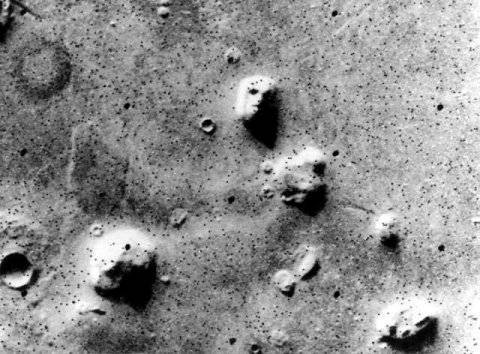 A possible explanation could be found in the different positions of Mars and Earth. The former, if really orbiting closer to Nibiru, could have suffered its gravitational pull greatly; this force could have caused more intense catastrophes, natural disasters, and upheavals. We could even go that far in speculating that it was the presence of Mars which, somehow, shielded Earth from being hit by Nibiru's direct influence. Hancock and his colleagues highlight the presence of strong evidence that Mars had been a 'live' planet in the past. At some point the Anunnaki (or their offspring, the Nephilim) colonized Earth, perhaps because they were looking for more natural resources not present on Mars, for pure spirit of conquest or, perhaps, for more 'vital space' if overpopulation had so dictated. It is not impossible to think that the Nibiruans knew that their planet of origin, orbiting so close to Mars, would have eventually destroyed it, while Earth would have been better chance for the 'colony' to survive. 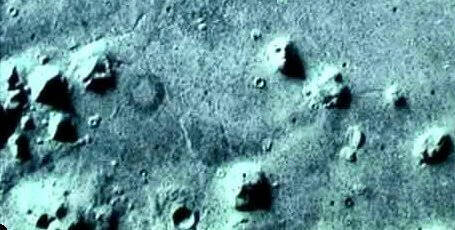 "...It is now clear that the Earth, at the moment, is the only planet in the Solar System which hosts sentient beings. It is possible that 10,000, 20,000, or 50,000 years ago things were different...but today all our neighbors are dead...and although Earth is still alive...there is no evidence to support the idea that the bombing have ceased just because we are still here..."